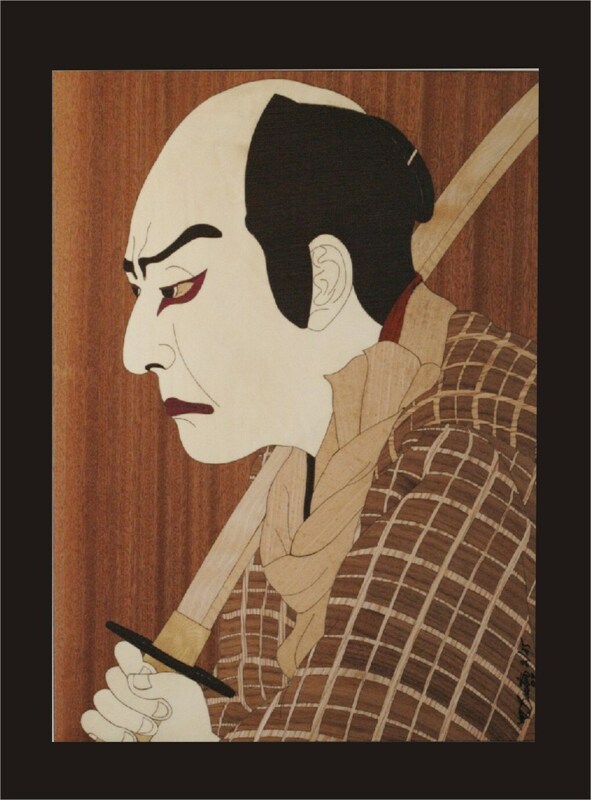 Wall Decor, Kabuki Actor Wood Block Inlay. 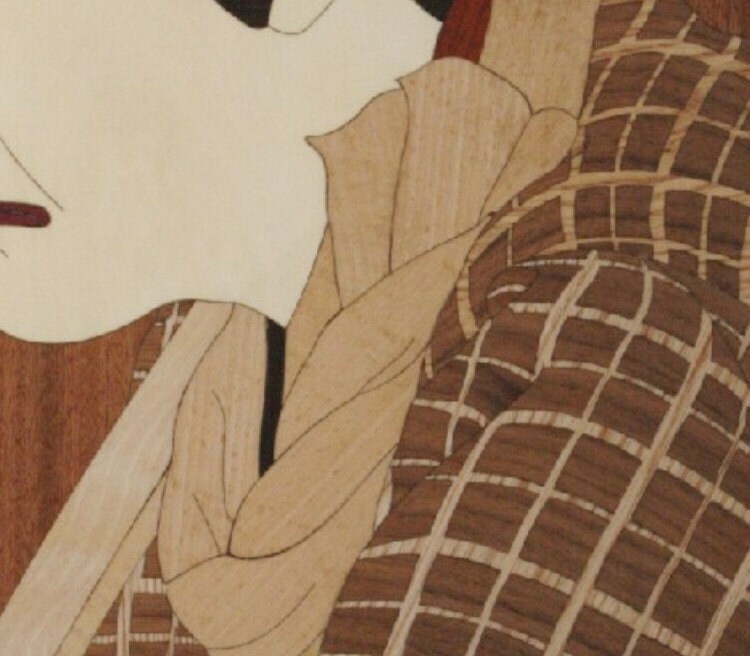 This is the first of a series of six different inlays I made from Japanese woodblock prints from around the turn of the century. On the back of each piece is the name of the original artist, the actors name and the character they played in a particular play.